In an earlier post, I talked in depth about dynamic characterization. 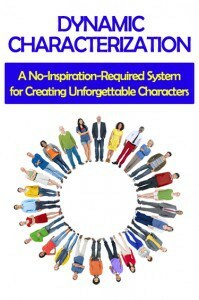 Now I’d like to show you how to use dynamic characterization to create a character’s dominant impression. A character’s dominant impression is the way you’d describe the character if you had to sum him/her up in a single phrase—just the bare essentials. The things you’d mention briefly in the back cover blurb. A properly constructed dominant impression statement not only describes your character in a nutshell, but it also lets the reader know what kind of story they’re going to be reading. “Space marine with a strict code of honor” implies that there will be spaceships, battles, aliens, cool weapons, and a good guy who’ll be sorely tempted to do the wrong thing. “Thief with trust issues” suggests that there will be a heist, an object precious enough to be worth stealing, a character whose backstory includes a betrayal, and a second character who may or may not be trustworthy. “Ruthless mobster who always takes care of his people” hints at an ambiguous character with a gray morality, a story about loyalty, crimes committed, police evaded, and perhaps a bittersweet ending where justice may or may not have been done. Once you’ve nailed down a character’s dominant impression, the next step is to figure out how you’re going to demonstrate it to the reader. How are we going to do it? Using those character expression elements, what can we tell about our space marine without knowing anything else about him? Dialogue: He probably has the habit of saying ma’am or sir when addressing a stranger or an authority figure. He’ll use military slang that civilians wouldn’t get. If he’s been fighting against or alongside aliens, he’s sure to have picked up some words from their language. Some of those will undoubtedly be alien swear words. Since he has that strict code of honor, he’d never promise anything unless he’s sure he could keep that promise. Actions (voluntary and involuntary): If he’s been fighting recently on a high-gravity world, we might show him making an effort to move in a relaxed way as he adjusts to being back in normal gravity. Or if he’s just left a low-gravity world, we might see him working harder to take actions that would normally be effortless. Does his hand unconsciously move to his weapon holster when he’s threatened, even if he’s off-duty and unarmed? If he’s used to being cooped up in a ship or on a space station, does he get vertigo when he gets planetside? Does he try to cope with the vertigo by squinting, or focusing on a point straight ahead of him, or rubbing his eyes a lot, or leaning against things whenever possible? Body Language: He might unconsciously snap to attention when encountering an authority figure, or stand at “parade rest” during conversations. He can probably tell if a person has military training or not just from the way they move. Thoughts and Feelings: Does he revel in the fact that he’s on leave, or does he miss the structured days and clear rules that he’s used to when on duty? Does he compare the food he eats at his favorite hole-in-the-wall diner with military rations and grumble that civilians don’t know how good they’ve got it? Does he have any resentment toward the civilians he risks his life to protect? Is he proud of the fact that he makes their safe lives possible? Does he believe that the war he’s been fighting is for a just cause, or is soldiering just a job he does because he’s good at it? Having experienced other aliens’ cultures, he’ll have opinions about them. Have these other cultures opened his mind to other ways of doing things and made him critical of some elements of human culture? Or did they reinforce his belief that the human way is the best way? Military personnel tend to get vaccinations for all sorts of diseases that a civilian wouldn’t be exposed to. Is his arm sore from his most recent round of shots? Has he had any health problems as a result of being overvaccinated? Does the future government put chips in soldiers so that their bodies can be tracked at all times (and retrieved in the event of death)? If so, can he tell the chip is there? Does it have side effects? Does he do anything to interfere with its functioning? Or worry about being under surveillance? Habits: Does he polish his boots? Clean his weapons every night whether he’s used them or not? Sleep in four hour increments so it’ll be easier to adjust to taking watches when he goes back on duty? Does he own more than he can fit in his rucksack? Do the space marines issue any sort of pharmaceuticals to their troops to enhance strength, speed, alertness, perception, the ability to withstand extreme temperatures, protect against radiation, etc? If so, is he dependent on any of them, or can he stop taking them when he’s on leave? Does he experience any side effects from them? Does he go through withdrawal if he misses a dose? Has he learned to be a light sleeper? Or to take combat naps whenever he’s got five minutes of free time? Does he tend to dream about past missions or dead comrades when he sleeps? Does he do hundreds of pushups and situps on his off-days, to stay in shape, or is he blissfully happy to skip a day physical exertion? Quirks: Do the space marines have a rivalry with another military branch? (I bet they do!) How does he feel about this rivalry—like he needs to defend the marines’ honor, or like it’s a stupid thing to fight over? As a soldier, he’s going to know a lot more about weapons than the average civilian, and given a choice between two guns that might look identical to you and I, he would probably have a strong preference for one of them. Maybe he has a hard time feeling safe even when he’s far away from the battlefield, and he improvises booby-traps or alarms to secure his room before bed each night. In the process of traveling to strange new worlds, seeking out new life and killing it, he may also have acquired a taste for alien foods—maybe things that the average person wouldn’t even consider edible. Clothing, Accessories and Grooming: He’d probably have a military cut (makes his helmet fit better and it’s easier to keep clean in unsanitary conditions). Does he let it get shaggy when he’s on leave, or does he prefer to keep it short? No doubt he carries a military ID. Does it give him any special privileges? Or limit his access to anything? How about footwear—does he feel naked unless he’s wearing combat boots? Or is he delighted to slip off the heavy clompers and put on some running shoes? Does he wear fatigues even when he doesn’t have to? Or does he miss wearing street clothes? If he wears street clothes, do all his tee-shirts have military logos and slogans on them? If you saw him dressed normally when he’s on leave, would you be able to tell that he’s a marine by what he’s wearing? Does he have a class ring or a unit ring? A promise ring from his girl back home? Tools and Special Objects: He might feel uncomfortable unarmed, even in places where a civilian might feel safe, and have a permit to carry a weapon (concealed or openly). Has he named his favorite gun? What if the knife he always carries in his boot sheath belonged to his grandfather and his father? Meaningful Locations: The military cemetery where both his grandfather and father were buried? The monument to the war his father died in? The small town where he grew up, and which he dreams of returning to once he’s ready to retire from the service? Scars, Wounds, Body Modification, and Unusual Physical Traits: If he’s new to the corps, he might be unscarred, and if he’s a sensitive soul, he might even feel guilty that he’s whole while some of his friends are scarred or maimed. But if he’s seen any amount of action, he’s probably got at least one scar. How about we give him surgical scars on that wounded knee, and a cluster of small scars on his shoulder where he caught some shrapnel? It’s also not uncommon for military men to have tattoos of some sort—how about we give him one that shows the space marines glyph, and another small one that he got along with the surviving members of his unit after a particularly dangerous mission? Depending on what kind of future you think he might be from, our marine might also be genetically or cybernetically enhanced in some way. A bionic eye with night vision and the ability to see different types of radiation? A reinforced skeleton and accelerated healing, to make him harder to kill? Genetically-enhanced muscles to allow him to fight on a planet with gravity three times stronger than Earth’s? Gene therapy that makes him capable of traveling through hyperspace without the usual side effects? Secrets: Out there on the battlefield, he’s probably seen some pretty awful things. Some of those awful things may have been done by his fellow soldiers. Some he might have done himself. He probably doesn’t want to talk about them. Or does he? Will he get drunk enough to tell a stranger at a bar that he saw an innocent village massacred by mistake? Or that the recently-decorated lieutenant who’s been on all the new feeds really isn’t a hero at all? He knows what’s really happening on the ground, too—he knows which parts of the news reports are true and which are not. If the government isn’t giving the folks back home the whole story about the war, our hero has to choose between keeping his mouth shut or spilling the beans. If he spills the beans, he’s going to have to worry about repercussions. Relationships: How close is he to the others in his unit? Has he lost touch with all his former civilian friends? Does he have a girl in every port? Or an alien girlfriend waiting for him back on her homeworld? Also, how do civilians react to him? Does he get called jarhead? Does he get lectured by a pacifist while he’s trying to enjoy a cup of coffee? Are others afraid of him when they find out he’s a marine? Does he get treated with respect when he’s in uniform? Does he not talk about his job because there’s always some moron who asks him how many people/aliens he’s killed? Do shopkeepers thank him for his service when he shows his military ID for a discount? Does his little brother want to hear all about the battles he’s been in? Put him in a situation where a woman is being rude to him, and show him keeping his temper and treating her politely anyway. Put him in a situation where he sees a woman being treated disrespectfully, and show him intervening—perhaps criticizing the rude shopkeeper, or escorting her to a safe place so that the juvenile delinquents who were harassing her back off. Put him in a situation where a woman is being physically abused or threatened, and show him stepping in to defend the woman. Let him meet up with a bitchy ex-girlfriend, and show him resisting the urge to argue with her when she snipes at him. Put him in a situation where he sees a woman in need of help, and show him helping her even though it’s inconvenient for him. Never throws the first punch. Put him in a situation where someone is threatening or taunting him, and let us see him try to resolve the conflict without fighting. Or put him in a situation where a suspicious character appears, and it would be convenient for him to take the potential troublemaker out of commission—but show our hero waiting until the trouble starts before he tackles the troublemaker. Doesn’t tolerate bullies. Put him in a situation where he has to either ignore someone being bullied or intervene. Make it easy for him to walk away and tough to drive the bullies off. That way, when he stands up to the bullies on the weaker person’s behalf, we’ll know his actions came from his belief that the strong have a responsibility to protect the weak. Always backs up his buddies. Show one of his buddies doing something stupid or foolish or just plain wrong—and let us see our marine sticking around to extricate his buddy from the resulting difficult situation. Show him sacrificing something to get his friends out of trouble even—or especially—when they don’t deserve the help. Notice that all of these are things that you can show through interior monologue, action and dialogue. They’re showable. We won’t need exposition to tell the reader how your hero is affected by being a space marine if we show even a quarter of the things we brainstormed here. Sure, we could have just written down on a character worksheet that our space marine is chivalrous, loyal, and honorable. But it wouldn’t have been nearly as helpful in understanding how our space marine behaves. Chivalrous is abstract. Polite to women suggests a range of specific behaviors that your character can perform. Loyal is abstract. Willing to fight when one of his fellow soldiers gets drunk and mouths off to a group of civvies in a bar is something you can turn into a scene. Honorable is abstract. Refuses to kill a non-combatant even when ordered to by a superior shows the reader where this space marine’s heart is when push comes to shove. That was a lot, I know…but we did it one small step at a time, and you can build complex, multi-dimensional characters the same way. And notice that we haven’t even looked yet at this character’s personality traits–all we’ve talked about so far are the ways this character has been shaped by his experience of being a solider in a futuristic setting. We still don’t know if he’s shy or sarcastic or philosophical or compassionate. Now that you’ve seen how it works–I challenge to choose a character you’re developing for NaNoWriMo or a character from your work-in-progress, and create his/her dominant impression. Want some help getting ready for NaNoWriMo? Check out The 30 Day Novel Success Journal or The 30 Day Novel Success Journal for Romance. 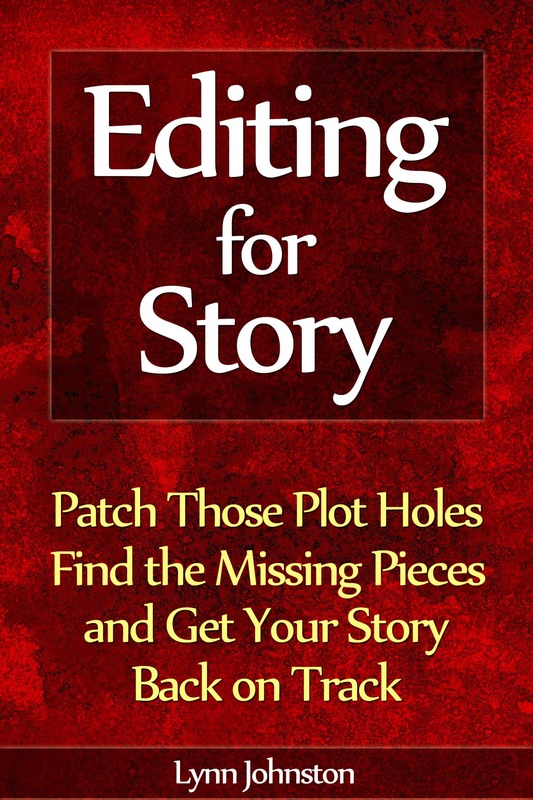 Both of these workbooks contain a unique story blueprint and brainstorming prompts that show you how to plot your novel one day at a time and come out with a well-structured story. What’s the difference between the two workbooks? 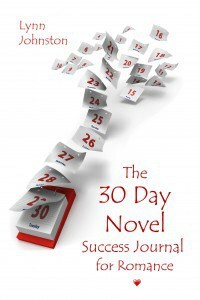 The 30 Day Novel Success Journal is intended for a story with a single character growth arc. 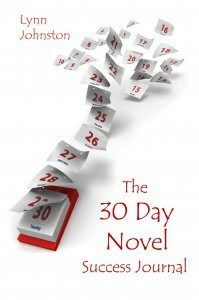 The 30 Day Novel Success Journal for Romance results in a story where the two main characters have growth arcs as they fall in love with each other. This entry was posted in Characterization and tagged 3D characters, accessories, action, aliens, battle, betrayal, body language, body modification, character arc, character development, character expression element, character expression elements, character quirks, character role, character roles, character tags, character trait, character's role in the story, characterization, clothing, code of honor, complex characters, culture, developing a character, dialogue, dominant impression, dynamic characterization, feelings, flaw, grooming, growth arc, habits, heist, interior monologue, internal arc, issue, meaningful locations, multidimensional characters, nanowrimo, national novel writing month, personality trait, physical traits, quirks, relationships, scars, secrets, show don't tell, showing, showing instead of telling, slang, space marine, spaceship, special objects, story's theme, tags, tattoos, telling, theme, theme of the story, thief, thoughts, three-dimensional characters, tools, trait, what is a character tag, work-in-progress on October 14, 2014 by Lynn Johnston.